For those prefer installing or updating Ubuntu legacy .deb package, Gnome MPV 0.16 also available to install via PPA repository for Ubuntu 18.04 and higher. You can install the latest Gnome MPV via the flatpak (containerised software package) which is available in Flathub repository. 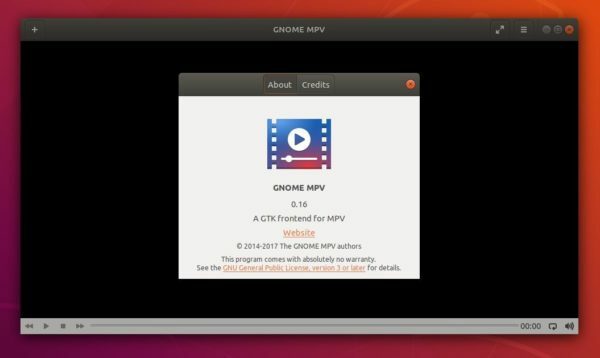 Once installed, launch Gnome MPV from application menu or video file’s context menu and enjoy!